Behold, the days come, saith the Lord, that I will make a new covenant with the house of Israel, and with the house of Judah: Not according to the covenant that I made with their fathers in the day that I took them by the hand to bring them out of the land of Egypt; which my covenant they brake, although I was an husband unto them, saith the Lord: But this shall be the covenant that I will make with the house of Israel; After those days, saith the Lord, I will put my law in their inward parts, and write it in their hearts; and will be their God, and they shall be my people (Jeremiah 31:31-33). In fact, uncircumcised Gentiles who keep God’s law will condemn you Jews who are circumcised and possess God’s law but don’t obey it. For you are not a true Jew just because you were born of Jewish parents or because you have gone through the ceremony of circumcision. 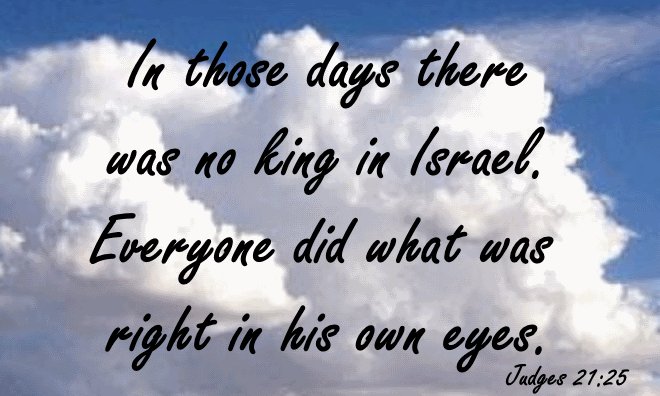 No, a true Jew is one whose heart is right with God. And true circumcision is not merely obeying the letter of the law; rather, it is a change of heart produced by the Spirit. And a person with a changed heart seeks praise from God, not from people (Romans 2:27-29 NLT). In the same way, “Abraham believed God, and God counted him as righteous because of his faith.” The real children of Abraham, then, are those who put their faith in God (Galatians 3:6-7 NLT). For you are all children of God through faith in Christ Jesus. And all who have been united with Christ in baptism have put on Christ, like putting on new clothes. There is no longer Jew or Gentile, slave or free, male and female. For you are all one in Christ Jesus. And now that you belong to Christ, you are the true children of Abraham. You are his heirs, and God’s promise to Abraham belongs to you (Galatians 3:26-29 NLT). Some of us are Jews, some are Gentiles, some are slaves, and some are free. But we have all been baptized into one body by one Spirit, and we all share the same Spirit (1 Corinthians 12:13). Whether Jew or Gentile, if we have been united with Jesus in baptism (both water and Spirit), thereby having put on Christ, we are then His children, all in one body - His Church. Also from these scriptures we can clearly see that in the New Covenant, the Jews do not have a different plan of salvation than us - the Gentiles. 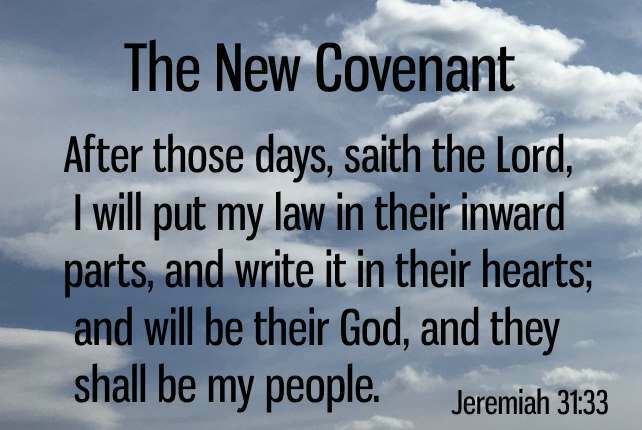 Having been born again, God writes the New Covenant in our hearts. Forasmuch as ye are manifestly declared to be the epistle of Christ ministered by us, written not with ink, but with the Spirit of the living God; not in tables of stone, but in fleshy tables of the heart (2 Corinthians 3:3). And he said unto them, These are the words which I spake unto you, while I was yet with you, that all things must be fulfilled, which were written in the law of Moses, and in the prophets, and in the psalms, concerning me. Then opened he their understanding, that they might understand the scriptures, And said unto them, Thus it is written, and thus it behooved Christ to suffer, and to rise from the dead the third day: And that repentance and remission of sins should be preached in his name among all nations, beginning at Jerusalem. And ye are witnesses of these things. And, behold, I send the promise of my Father upon you: but tarry ye in the city of Jerusalem, until ye be endued with power from on high (Luke 24:44-49). Then at the beginning of the Book of Acts, Luke finishes what Jesus said to the disciples, telling them that they will receive the promise, the baptism of the Holy Spirit, in the near future. And preached, saying, There cometh one mightier than I after me, the latchet of whose shoes I am not worthy to stoop down and unloose. 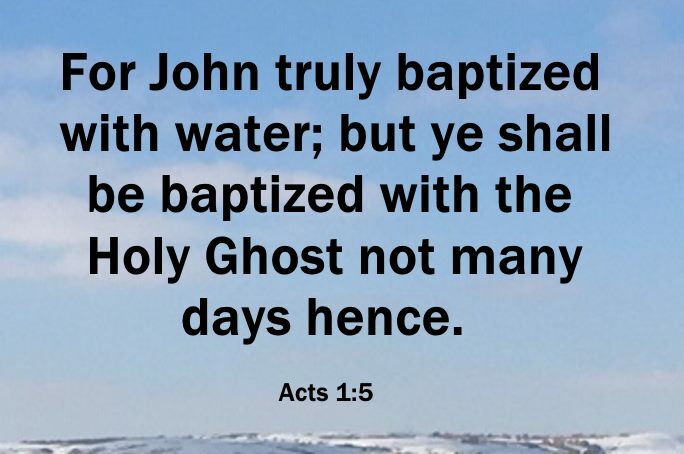 I indeed have baptized you with water: but he shall baptize you with the Holy Ghost (Mark 1:7-8). As we just read, there is no possible way that we can separate the New Covenant, God's promise to us, from being baptized in the Spirit with the evidence of speaking in tongues. Oh Hallelujah!